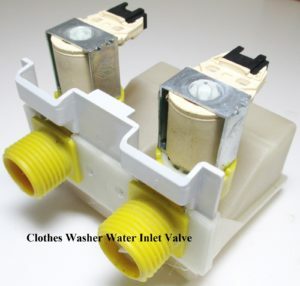 This water inlet valve is most always found on the back panel of your washing machine. It is used to supply hot, warm or cold water to the washer’s tub. If you have noticed that your washer takes longer than usual to fill with water, your washer does not have cold water, hot water or very little to no water, maybe you even hear a humming or buzzing sound coming from the washer console, then these are all symptoms of a bad water inlet valve, but not always. 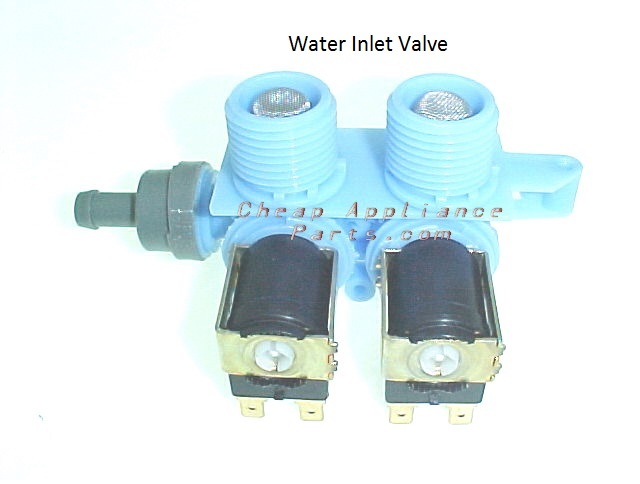 Before replacing the inlet valve or other washer parts you can check these items first. You will need to turn off the water supply to the washer. You will also need to check the filter screens in the water valve inlet ports as well as the filter screens in both of the water supply hoses, if any are present. It could be they are full of sediment or calcium deposits from hard water, preventing the water flow. Always unplug the washer and turn off both hot and cold water valves from the household water supply before removing the supply hoses. If this easy washer repair tip did not solve your washer, little to no water issue, then you will need to delve a little deeper and do some trouble shooting which will require a multi-meter or voltage tester. This will need to be performed by a person qualified to do this testing. 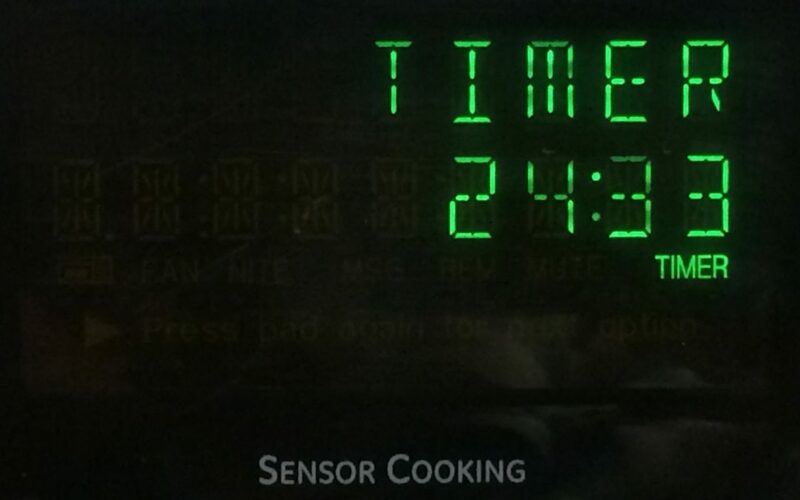 Everything we cook on the stove top or bake in the oven requires a certain amount of time. Most stoves, electric or gas have built in timers but we can’t always hear them go off if we are I another part of our house. I always carry a small minute timer around the house and especially if I’m going outside to work in my flower garden. Too often I get distracted doing other things and I certainly don’t want to overcook or burn dinner. My little battery operated timer is my buddy when I’m preparing food in the oven or on the stove top to help me keep track of how long it’s been cooking and keep me from ruining dinner or whatever else is cooking. Ovens should be kept clean from spills that happen when baking pies, casseroles or just about any food that may bubble and spill over while baking. I learned this the hard way when after baking Christmas cookies for several hours my accumulation of baked on stuff began to melt eventually filling my whole house with smoke and causing the smoke alarm to go off. I really don’t like to scrub my oven floor and decided to find an easy way to keep it clean. There are many disposable oven floor liners that can be purchased at Bed Bath and Beyond, Walmart, Amazon and Target. Research which type you are buying and if your oven has a hidden bottom heating element, self cleaning mode or an oven fan. 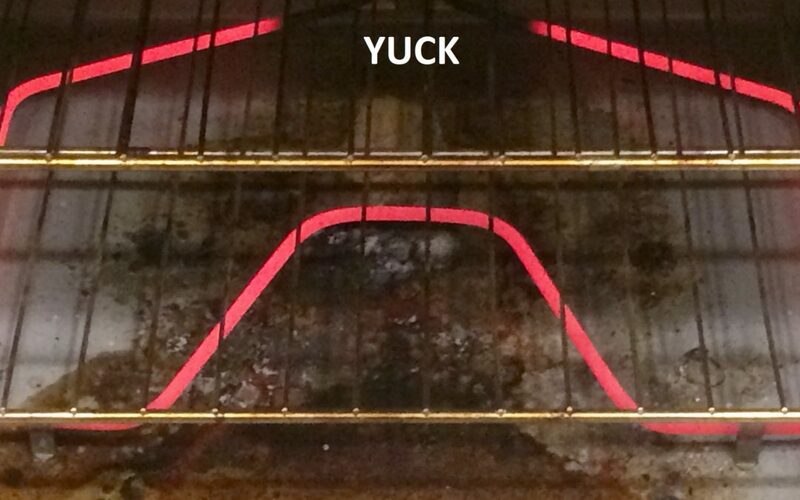 Take these features into consideration when choosing the correct liner for your particular oven. Oven liners are made from different materials, one of the most common being a food-grade silicone which is non-stick and heat tolerant. Some have a Teflon coating or PTFE. Always remove the liner from your oven if you use your self-cleaning program. Oven liners are usually safe up too 500F (260C) but don’t use above what the manufacturer specifies. If you need to trim the liner do so leaving 1″ from the edge of the oven floor and be certain not to cover up any air vents. Installing the oven liner is quite easy, simply make certain that oven is turned off and the baking elements are cool to the touch, remove your oven baking racks and raise the bottom bake element then slide your new oven liner into place. Aluminum foil is not suggested because it could possibly melt or flop around in the oven. Some liners can be cleaned with soap and water and some you may just want to discard. You are now on your way to keeping a much cleaner oven floor the easy way. Did you know that most all major electric household appliances in your home use a heating element for their source of heat? REFRIGERATOR – That’s right! Even your refrigerator and icemaker use a heating element. The refrigerator uses a heating element/defrost heater assembly for the defrost cycle and the icemaker uses a heating element to heat up the icemaker tray so the ice will loosen and can be kicked out at the end of a cycle. OVEN – Your electric oven uses two different heating elements, it uses a bake element for the bake setting and a broil for the broil setting. The bake element is located on the bottom of the oven’s interior and the broil element is located on the top of the oven’s interior. STOVE – The electric range, stove or cooktop uses surface element burners or radiant elements. The coil surface element is a coiled circle shaped heating element that can be accessed from the cooktop of your stove. The radiant element is underneath a sleek smooth ceramic glass cooktop, only accessible from under the glass. CLOTHES DRYER – The electric clothes dryer would take days to dry your laundry if it were to just tumble the clothes dry without the help of the dryer heating element. The dryer’s fan draws in fresh air over the clothes dryers hot heating element then into the drum and circulates the heater air throughout the laundry while it tumbles, the moist air is blown out the clothes dryer exhaust vent in a continuous cycle. DISHWASHER – The dishwasher has a heating element which helps aid in heating the water for the hot wash and rinse cycles and helps aid drying the dishes in the drying cycle. HOT WATER HEATER – Your electric hot water heater uses heating elements to heat the water in the tank so you can have warm or hot water ready on demand for showers, baths, washing laundry or just brushing your teeth. Jenn Air introduced the electric downdraft cooktop more than 50 years ago and they are still desired and in use in many kitchens throughout the world today. 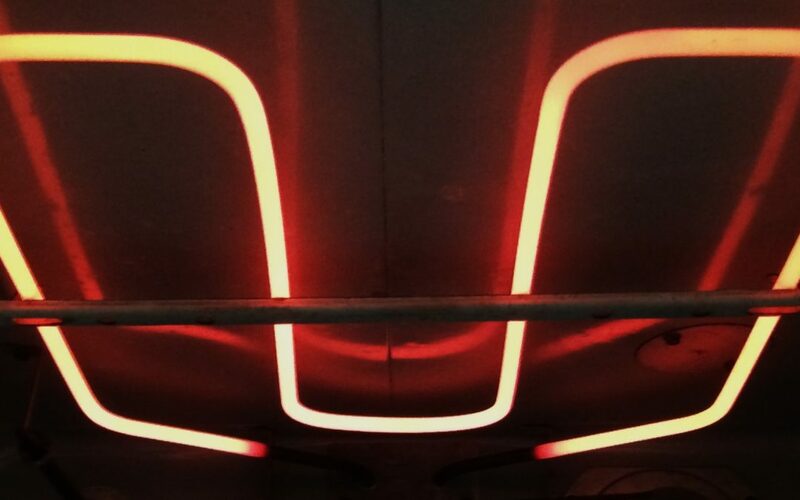 The Jenn Air cooktop with its downdraft ventilation and interchangeable parts was a must have for any new modern home or kitchen remodel in the 1960’s throughout the 1990’s. The cooktop could be installed either on the counter top like the old conventional ovens or stoves which left the cook always facing the wall or you could incorporate an island into your home’s kitchen without the bulky and unsightly overhead kitchen vent, all thanks to Jenn Air’s innovative cooktop downdraft system. Anyone who entertained or had parties and family gatherings on a regular basis either had or wanted a Jenn Air cooktop in their kitchen. No longer did you have to cook with your back facing your company. You could entertain or mingle with your family and guests while cooking facing them from your kitchen’s island. The Jenn Air cooktop made indoor entertaining much more personable and enjoyable for the cook bringing your family and guests to the kitchen opening up the kitchen for more of a gathering hub to intermingle with the cook. It felt more like a barbeque or outdoor cookout while you were actually grilling from the comforts of your own kitchen on the Jenn Air cooktop grill. Jenn Air had a two bay downdraft cooktop unit and a very popular three bay downdraft cooktop unit. The two bay cooktop was usually set up with two ceran cartridges or two coil burner cartridges. Each cartridge had two burners, the ceran cooktops came in either white or black. Jenn Air white ceran cooktop JEA8120ADW or the black Jenn Air ceran cooktop cartridge JEA8120ADBA. There were three choices of the Jenn Air coil burner cartridges with four spades on the end, three flat terminals and one round terminal. The Jenn Air black coil cooktop cartridge JEA7000ADBA, the white coil cooktop cartridge JEA7000ADWA or the Jenn Air stainless steel coil cooktop cartridge JEA7000ADSA. The two bay cooktop unit had a cartridge on the left side and one on the right side with the ventilation downdraft fan switch and burner selector knobs in the center. 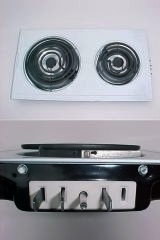 When you wanted to grill you simply lifted one end of the cartridge up and pulled the terminal end out of the receptacles Put the two lava grates in the drip pan, plug the grilling bake element into the receptacles and place the two grill grates on the cooktop. The three bay Jenn Air cooktop could be set up with three cooktop cartridges for a total of six burners to be used at the same time, either ceran or cooktop cartridges or coil cooktop cartridges. The most popular setup was using two cooktop cartridges and the grill in the third spot. Although these vintage Jenn Air cooktops have been around for more than fifty years they have not lost their prestige or popularity in the cooking world. As a matter of fact, these versatile cooktop units are finding a new popularity with the younger generation of cooks as well as still being used and enjoyed by many well seasoned cooks. Many genuine OEM factory parts are still readily available for these Jenn Air cooktops. If you are thinking about remodeling an older kitchen that has one of these vintage Jenn Air cooktops in it, before you decide to toss it out you might do a bit of research online to see what it will take to get the older Jenn Air unit fully functional. It might be that it just needs some elbow grease and determination to bring it back to its glory days.